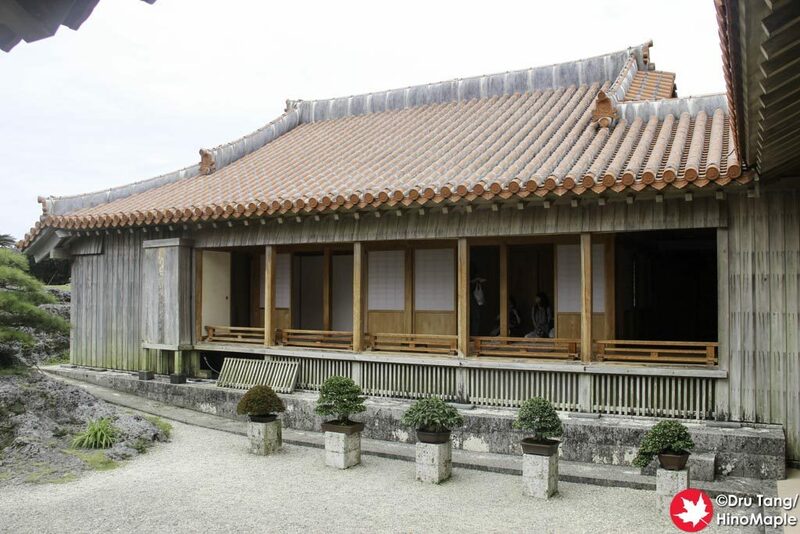 In Shuri Castle there is the Sasunoma Tea Room. It is a quaint little room next to the main garden of the castle and it is a wonderful excursion from the busy tour route of the castle. I wasn’t expecting to visit the tea room but I was getting frustrated with all of the visitors that I decided that I needed a visit for my own sanity. 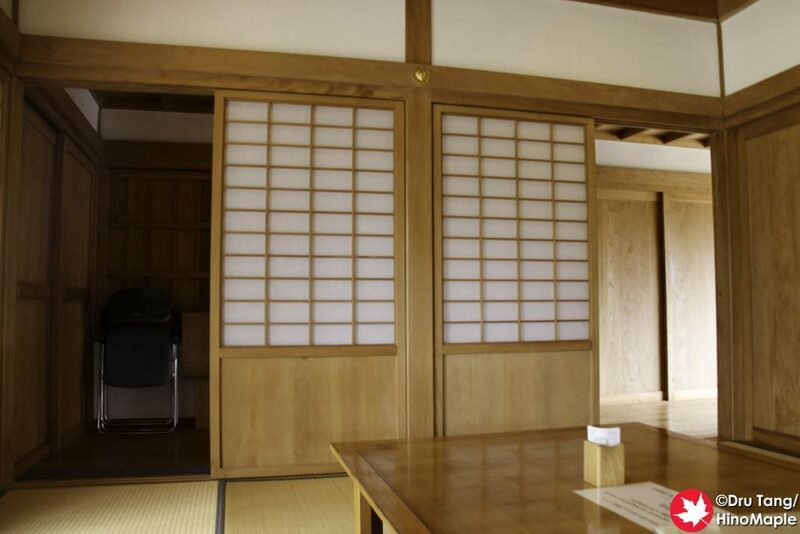 The Sasunoma Tea Room only costs 310 JPY. For some people this may seem expensive but it is actually pretty cheap when most other places charge 500 JPY for similar services. You basically enter and a host will take your money and give you an information guide. There are two versions, a laminated and paper version. They are the same but you can keep the paper version if you wish. The information gives you a little more information about the location as well as what you are eating. If there is space available, another host will show you where you can take off your shoes and then take you to the main tea room and get you seated. The main tea room has 2 tables that I know of and they are communal. You will be seated and a short explanation will be given to you. If you speak Japanese they will also give an explanation of the place and the treats every 10 minutes or so to the entire room. It is a good way to practice Japanese and there is more detailed information about things compared to English. The main garden in the back was only recently reconstructed with the discovery of an old photo. They had a lot of difficulty trying to rebuild the castle due to a lack of evidence of what was present. Thankfully some photographic evidence exists and they were able to reconstruct the garden to the best of their abilities. The tea you get is called Sanpin tea. It is a mispronunciation of the Chinese word for jasmine tea. There really isn’t anything special about it but all over Okinawa you can find Sanpin tea, and it wasn’t until I visited this tea room that I found out it was just normal jasmine tea. The deserts were really nice and all of them are traditional sweets of Okinawa. The Hanabouru was a bit cookie like treat that was chewy and stiff at the same time. There was also a Chiirunkou, a type of egg sponge that was dry and made almost entirely of egg yolks. It now has a little white added to add more air to it but it is generally a dense cake. 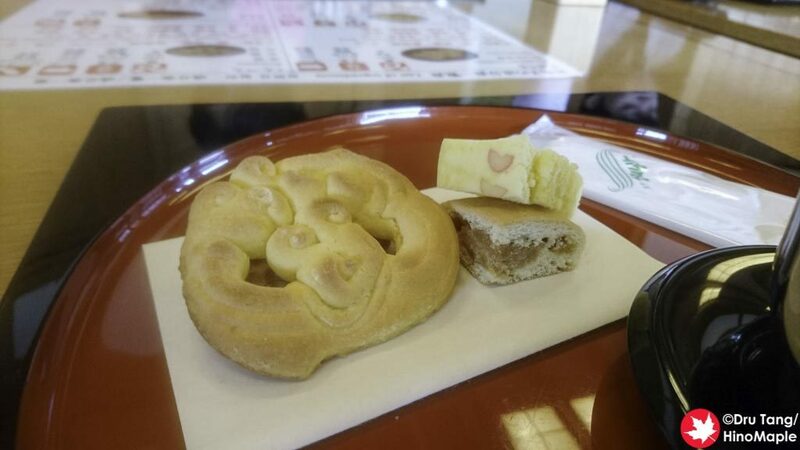 Chinsuko is your standard Okinawan cookie. They are like tea cookies and usually there isn’t a lot of taste but it always goes well with tea. Kunpen was my favourite little treat as it was a soft cookie with sesame inside. It was really nice but hard to find around Naha. The entire experience was wonderful. I really enjoyed just relaxing in the tea room and enjoying the architecture. The room was still really new as it was rebuilt relatively recently. The snacks were delicious and really went well with the tea. There was no rush to leave and the hosts are always asking if you’d like more tea so you always feel welcome. When I left there was a line of people waiting to get in but you cannot see them from the tea room so you never feel pressure to leave. 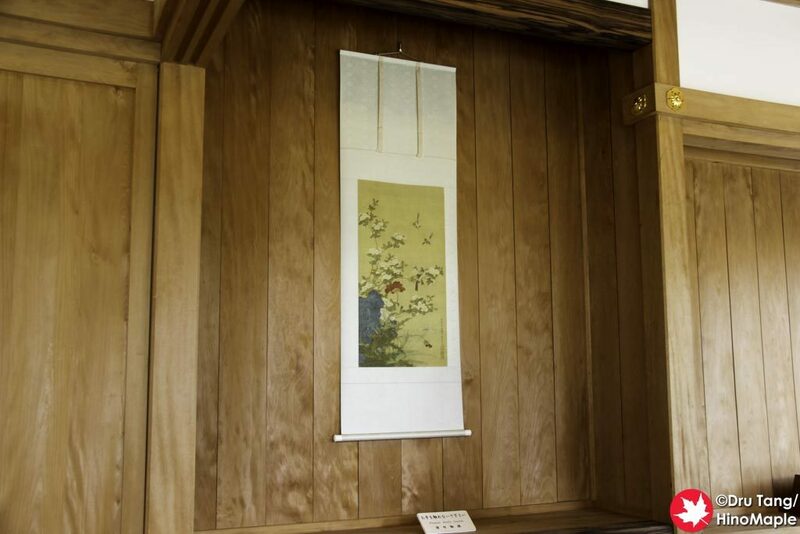 You can be sure that if I am back at Shuri Castle that I will be heading to the tea room to just relax. 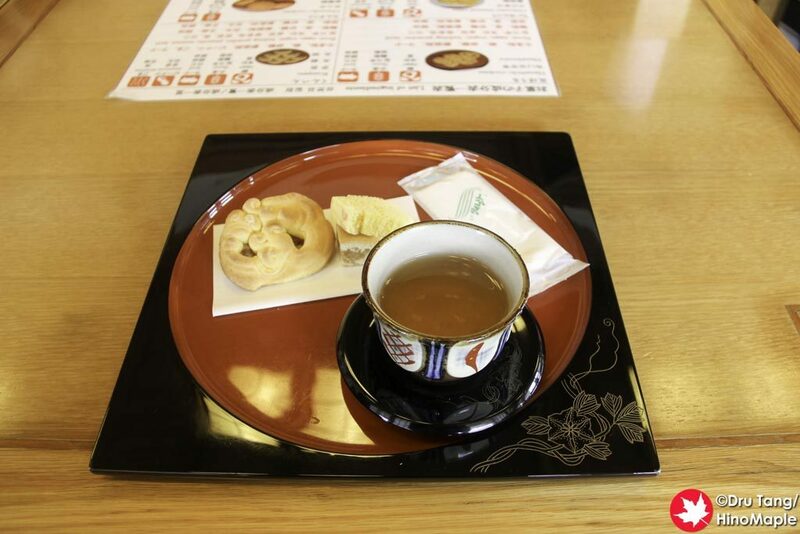 This entry was posted in Okinawa, Okinawa Food and tagged japan, Naha, Okinawa, Sasunoma, Sasunoma Tea Room, Shuri, Shuri Castle, Tea Room by Dru. Bookmark the permalink.